Remember the chicken cacciatore from Friday night? Here is the sauce from that dinner being used again in a yummy pasta dinner. We had part of a box of cellentani, three sweet Italian sausages, and a little of the cacciatore sauce. Sounds like a dinner to me! I added some additional tomatoes to the sauce and some water to thin it out. It worked fine with the sausage. 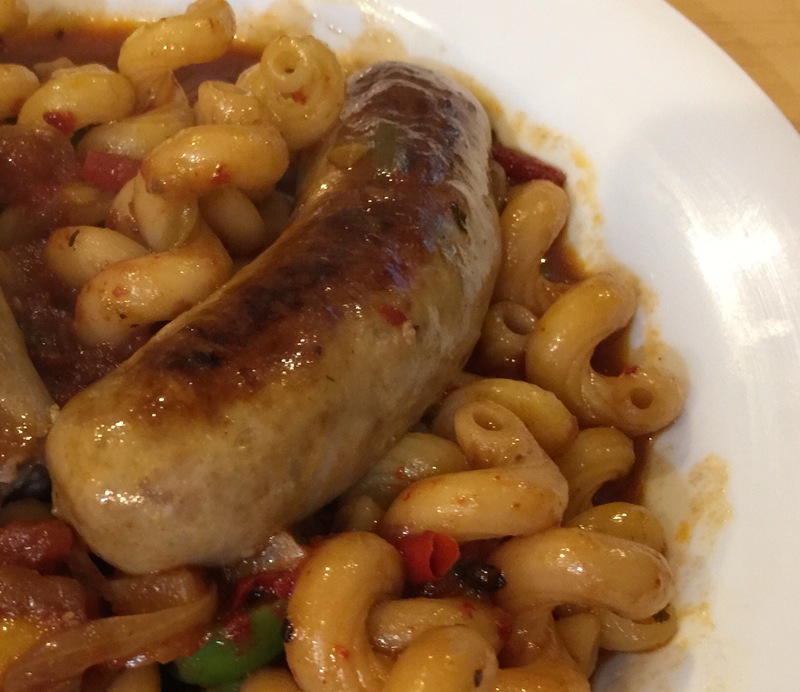 The fennel in the sauce really complemented the sausage. 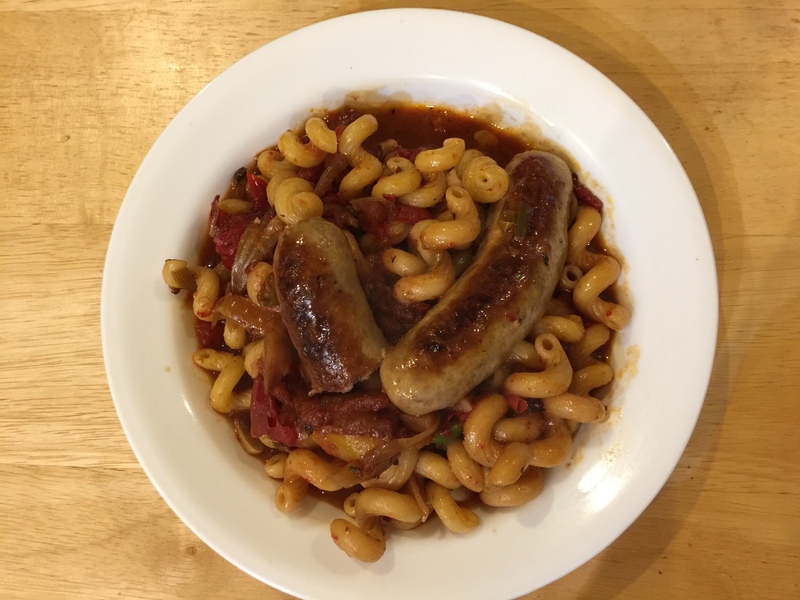 John browned the sausage first and then we finished it in the cacciatore sauce. After adding the al dente pasta everything was ready. We avoided watching the Stupor Bowl and thus eating all the snacks that might have come with it. Good for us! This entry was posted in leftovers, Pasta, Pork, Vegetables and tagged leftovers, pasta, Sausage. Bookmark the permalink.